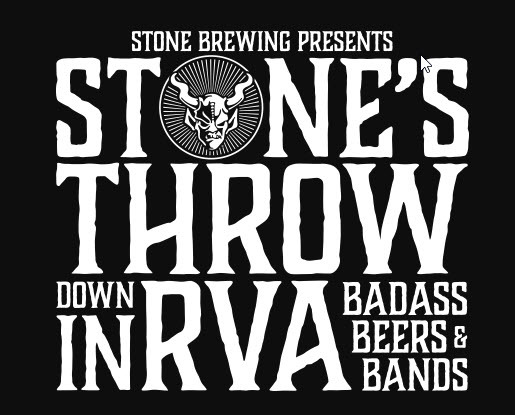 We’re kicking off this year’s Stone’s Throw Down In RVA with a ticket release celebration and band lineup announcement event at Stone Company Store – Richmond! We’ll be releasing the full lineup of performers that will be taking the stage on September 8 and have tickets available for sale. Join us for amazing craft beers complemented by food from Freekin’ Rican – Puerto Rican Food Carts & Catering and live performances from Kenneka Cook and Big Mama Shakes! Starting at 5pm, the first 50 fans to visit the Stone Company Store – Richmond are to receive one free ticket to the event on September 8 (no purchase necessary; limit to one ticket per person; while supplies last).